When the friendly PR contact for Paradox Interactive got in touch regarding Magicka 2 I jumped at the chance of getting hold of a review code. On the PS4. I chose to check out Paradox’s first release on console out of interest to see how it fares when playing with a gamepad, and because I had bounced off the first game on PC when I foolishly tried to play it solo. Magicka you see is all about playing a others, be they friends or total strangers. 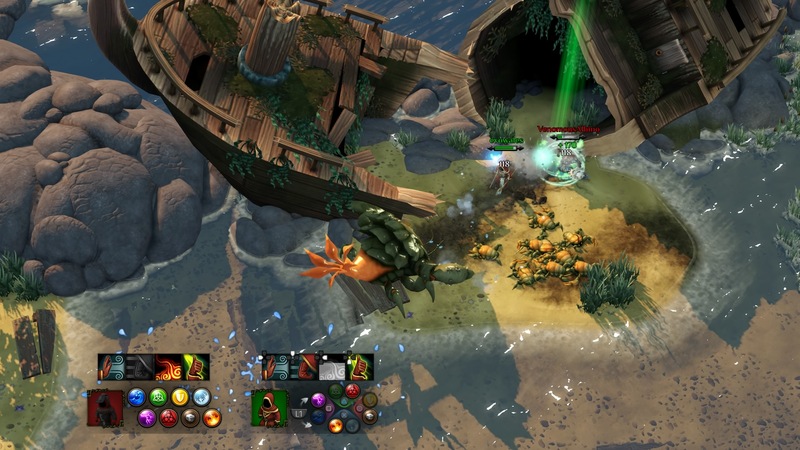 The joy with Magicka is that you don’t feel pressure to play perfectly, you can die (or kill your co-op buddies) and everything is treated in good spirits, largely because the game takes a light hearted approach to life. This playful ambience of your wizard based adventures all makes for a co-op game which I can actually enjoy. In Magicka you and up to three others take your wands and swords to fight through numerous hordes of enemies all under the pretense of some story that the friendly Vlad leads you on. I didn’t catch the details of the story, but I honestly feel it is all a bit inconsequential compared to the elemental warfare you wage. The different elements, which range from fire to ice via death (a new element to me) are queued up with the face buttons (L1 accessing the second set of four elements) while the shoulder buttons grant access to modifiers. It took me a few moments to get used to, but soon proved to be surprisingly easy to handle once I had worked my way through the prologue and learnt the basics. You can imbue your sword with an element, if you think of Beric Dondarrion in Game of Thrones you’ll have an idea how that looks while you can also cast something on your own wizard. That works really well for healing…less so if you accidentally cast death on yourself. 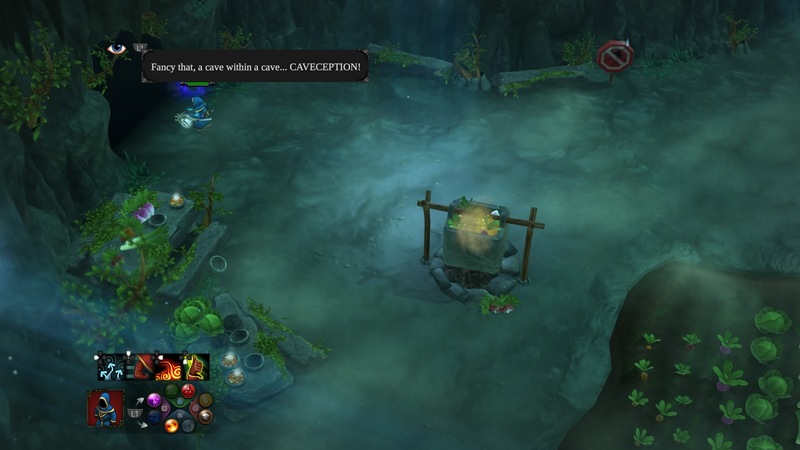 CAVECEPTION! I love the jokes in this game. It is those comedic, somewhat slapstick moments which really make things fun. You might have just queued up a really effective ice and lightning spell, only to accidentally cast it slightly too close to a friend who is standing in water. Not a pretty ending, but hilarious nonetheless. 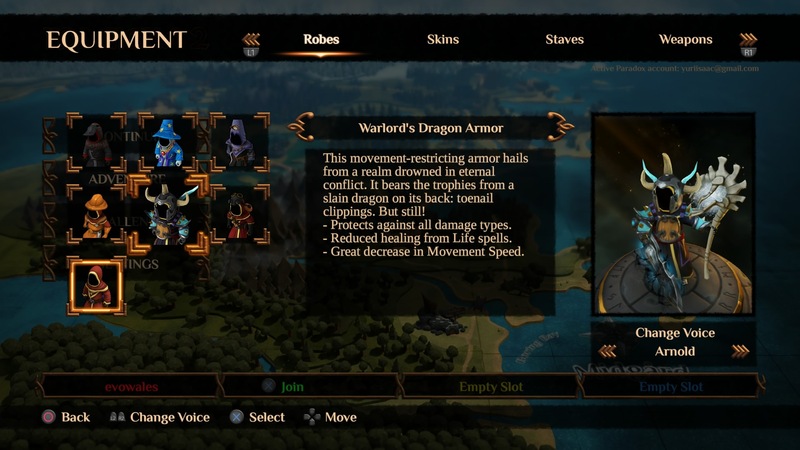 What has allowed me to get into Magicka is that lack of pressure I mentioned earlier. I can quickly jump into a public game and cast some spells, or play with some friends and have a more coordinated, but still merry time. It is just a shame that sometimes the game feels a bit quiet (on PlayStation at least), when joining a random game I’ve only occasionally joined a group of two or three players already in action, more often than not I find myself playing with one randomer. The game is still fun with two people, but the fights are that much trickier and the chaos that less ever-present. It is true that you can even play by yourself, but you are really asking for trouble if you do unless you are some real world wizard. Things might be a bit more enjoyable when you can’t find three others to play with if the number of enemies dynamically scaled down accordingly. If the main campaign doesn’t take your fancy there is a challenge mode to take on. Essentially a horde mode with added magic, you are confined to a location from the campaign to whirl your sword and staff around. If you are feeling really daring, when setting up a game yourself (be it the campaign or challenge) you can set it up with various special modes – different visual filters, choose what magical creature helps you out (Murray appears!) and such like. These modifiers are picked up during the campaign (but only when played in vanilla mode) and add a nice little extra to the game. They aren’t the only extras as you will also unlock various new robes, staves and swords as you progress, each with distinct abilities…and of course visual styles. Just look at all those lovely robes! 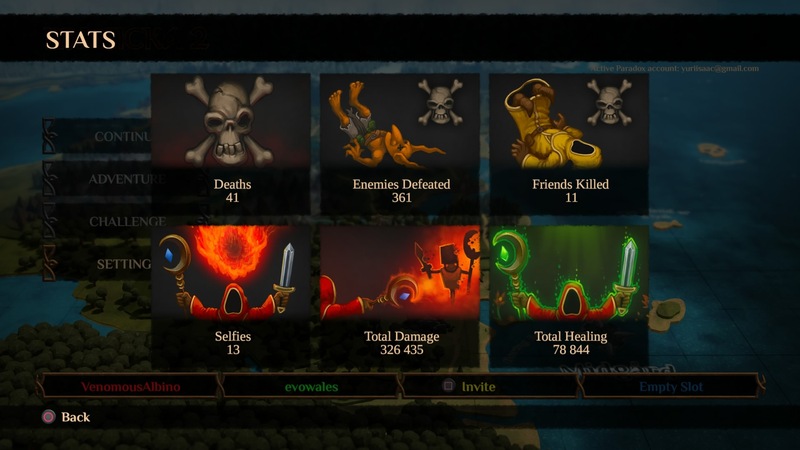 I’ve been having loads of fun with Magicka 2, I just kind of wish more of my friends on the PS4 were playing so I could really make the most of the four-player co-op. Maybe I should have chosen the PC copy in the end. All things being equal, it is great to see Paradox making their leap to the consoles and Magicka 2 is a great example of their magic.